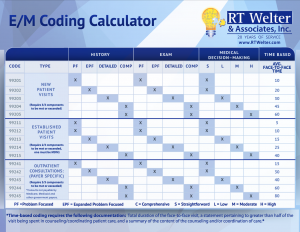 The E/M Coding Calculator is a resource designed to assist providers with appropriate code selection for evaluation and management services. This tool is a simplified version of the Novitas auditor’s instructions, and can be used as a guide to understand the evaluation and management coding and documentation guidelines. Page One includes a snapshot of the levels of service used in the outpatient care setting and their documentation requirements. Page One also includes time thresholds for each level of E/M service, and the specific documentation requirements for time-based billing. Page Two includes the formula for calculating history, exam, and medical-decision-making along with a table outlining the differences between body areas and organ systems, which is particularly important when calculating physical exam. 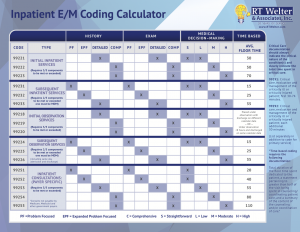 The Inpatient E/M Coding Calculator is a resource designed to assist providers/coders/billers with appropriate code selection for evaluation and management services in the inpatient setting, which includes initial and subsequent inpatient care, initial and subsequent observation care, critical care services, and inpatient consultation care. 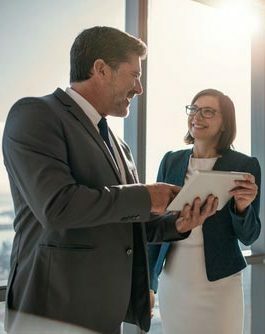 This tool is a simplified version of the information provided in the 1995 and 1997 evaluation and management coding and documentation guidelines and can be used as a guide to understanding these requirements. Page one includes a snapshot of the levels of service used in the inpatient care setting and their corresponding documentation requirements. Page one also includes time thresholds for each level of E/M service and the specific documentation requirements for time-based billing in the inpatient setting. Page two includes the formula for calculating history, exam, and medical-decision-making along with a graph outlining the potential clinical scenarios for the inpatient care setting.